We can all agree on this fact: Filipinos love cars. Precisely why we have countless car clubs here. Name the make and model--sometimes even the variant--and chances are there's a group that swears allegiance to it. However, we can also agree on another fact: There is generally a dearth of ultra-high-end car clubs in the country. You know, one whose members bring Ferraris and Lamborghinis to club meets and track days. Well, we know of one. They're called the TrackHos, and Top Gear Philippines writer JV Colayco is a prominent member. We've long heard of stories. YouTube videos even exist. But last weekend was perhaps the first time in the group's history that they really came out in full force and that being discreet wasn't really high on everyone's agenda. 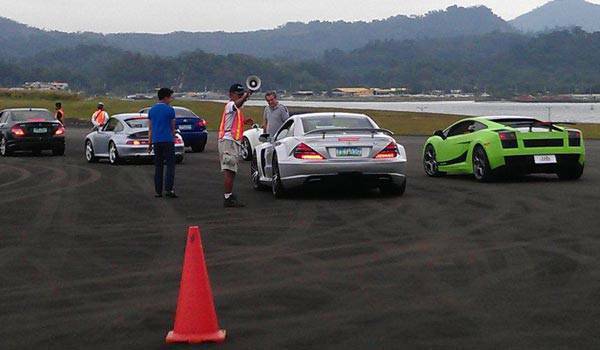 They drove to the Subic Bay International Airport for a day of motoring fun, bringing with them a fleet of very expensive rides that most of us can only dream of. The event was called "TrackHos Mile." Watch the short video below. It serves proof that the TrackHos really exist and that they drive among us.